Meike have announced a full frame Sony mount version of the 50mm f/1.7 lens. 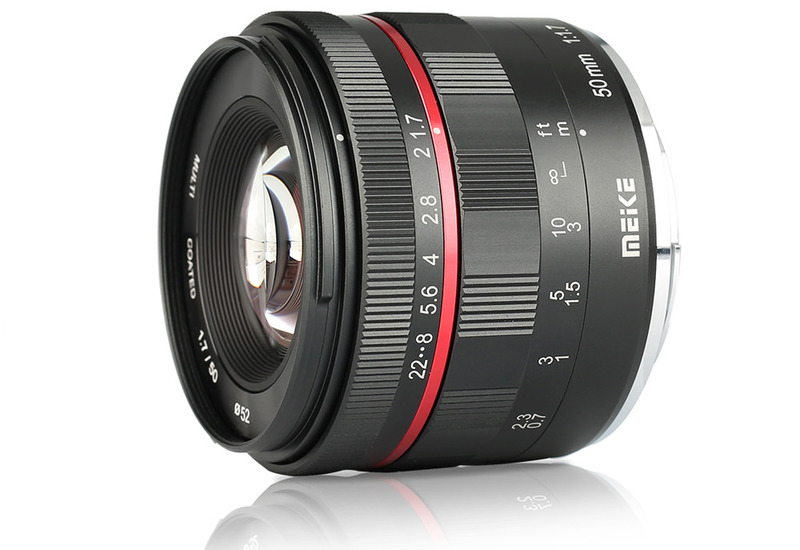 Meike have announced a new version of the 50mm f/1.7 lens for full frame Sony mount cameras. This prime manual lens has a minimum focusing distance of 0.5m and consists of 5 groups in 6 elements, with a 52mm filter thread. Earlier in 2018, the mirrorless version of the lens was released in several mount options. The lens is priced at £114.99 and is available through Amazon.